You should order your Apple Watch Series 4 through the Apple Store application. Time is short before you can pre-order the next-generation of Apple Watch. Apple will start taking people’s money at exactly 12:01 am tomorrow morning Pacific time. If demand is as heavy as we expect, the company might run short of units available on launch day. If you delay your order you might have to wait extra days to get your new device. And there’s more you should do to get ready than set an alarm. The first step is to download the official Apple Store application. This is actually a lot easier to use than Apple’s website, and less likely to crash from huge numbers of people all trying to buy at once. 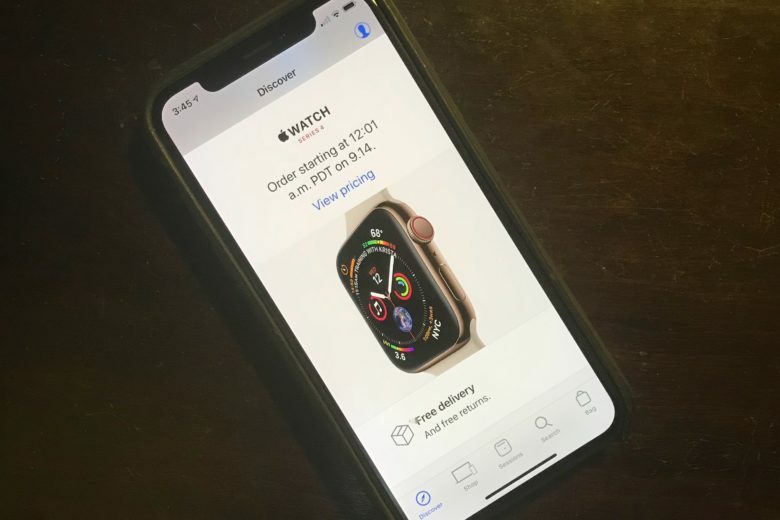 Don’t forget, iPhone XS, and XS Max orders start at exactly the same time as Apple Watch Series 4 orders, so it’s going to be a busy night for Apple’s eCommerce servers. Once you have the app, pick the Watch you want. All the new models are already listed, even if you can’t order them yet. Go ahead and choose now; you don’t want to be deciding in the middle of the night. Pick the color of the device — silver, gold, or space grey — and the matching watch band. Only when you’ve made that choice will the app let you choose between a 44mm or 40mm display. Once you have your device picked out, tap the little heart in the upper right corner of the Apple Store app. You can’t actually place an order until tonight, but by making your choice one of “My Favorites” it’ll be easy to find again. You’re going to want to get your Watch ordered and go to bed, so the middle of placing your order is a bad time to realize your credit card information is out of date. Also, check that your shipping address is correct. That’s not something you want to be typing in when you’re drowsy and in a hurry. As mentioned, the Apple Watch Series 4 goes on sale tomorrow, September 14, at 12:01 a.m. That’s Pacific Time. If you’re on the U.S. East Coast, it’s 3:01 a.m. so go set your alarm clock. Set it now because you don’t want to wake up tomorrow morning with the nagging feeling you forgot something. If you’re in the U.K., you have until 8 a.m. No problem, but you should still set an alarm. Now that your awake and have the Apple Store application open, tap the little head icon in the upper right corner of the screen to access your account. On that screen, under My Favorites, you’ll see the Apple Watch Series 4 model you already picked out. Tap on it to open its product page, then hit Add to Bag. Then finish the checkout process. This should be a breeze because you already confirmed your credit card and shipping information. Now all that’s left is to settle back and wait for your Apple Watch Series 4 to arrive on September 21. Unless you ordered the Noke+ model, because that one’s delayed a bit. p.s. Want to sell us your old Apple Watch? If you need cash too pay for this fancy new Watch you just ordered, you can sell it to us via the Cult of Mac buyback program. We’ll give you a fair price for your Apple Watch or iPhone — and take away the hassles of selling your old Apple gear.